Now that 2019 has finally arrived, it’s the perfect time to look back on last year’s Hudson County condo sales. Before we dive into the trends from December 2018, take some time to check out the overall numbers and statistics for the month. Need a quick refresher on last year’s numbers? In Hoboken, the average sales value for December 2018 increased 2.07% since last December, now standing at $740,000. In Jersey City, the average sales value for December 2018 decreased .69% since last December, now standing at $730,000. Curious about what the top-selling condos went for last month? Take a look at the details below, and be sure to stay posted on all of the latest market reports. 2,345 sq. ft. of interior living space with 3 bedrooms, a home office and private outdoor space. Stunning views from the moment you enter with The Freedom Tower & Manhattan skyline providing an unrivaled backdrop as seen through the double row of over-sized windows, and from its 1,400 sq. ft. wrap around deck. The main living area boasts a dramatic 23’ ceiling that elevates open concept living to a new level. 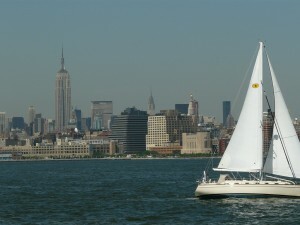 Views abound with Manhattan seen from the south & east and an open exposure to the west. A custom Italian kitchen, separate dining area, gas fireplace, 2 bedrooms & 1.5 baths complete the main living floor. Head upstairs to the mezzanine library & separate office, then on to the master retreat with direct lower Manhattan views, spa bath, shoe closet & massive walk-in-closet. The one-of-a kind 1400 sq. ft. wrap around deck is accessed from the main living area, providing seamless indoor/outdoor entertaining. The entire deck is finished in ipe wood & features unparalleled views, remarkable privacy and several seating and dining vignettes. Ideally located in the northeastern enclave of uptown Hoboken, Garden Street Lofts is a former coconut warehouse re-purposed into a boutique collection of just 28 chic residences. This unique property offers the ultimate urban experience; NYC transportation at your doorstep, easy waterfront access, private dedicated storage on-site, bike room & LEED Gold certification. 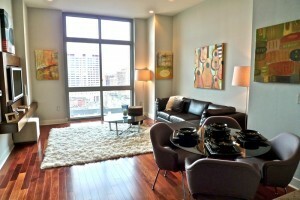 Stunning 2 BR, 2.5 Bath in one of only two true waterfront buildings in downtown Jersey City – Liberty Terrace. This large 2 BR has direct, unobstructed views of the New York harbor and Statue of Liberty, large terrace, hardwood floors, chef’s kitchen and spa-like marble baths with walk-in shower and soaking tub. This highly-sought after boutique style bldg. offers 24-hr. concierge, gym and an assigned parking spot across the street at Liberty Towers. 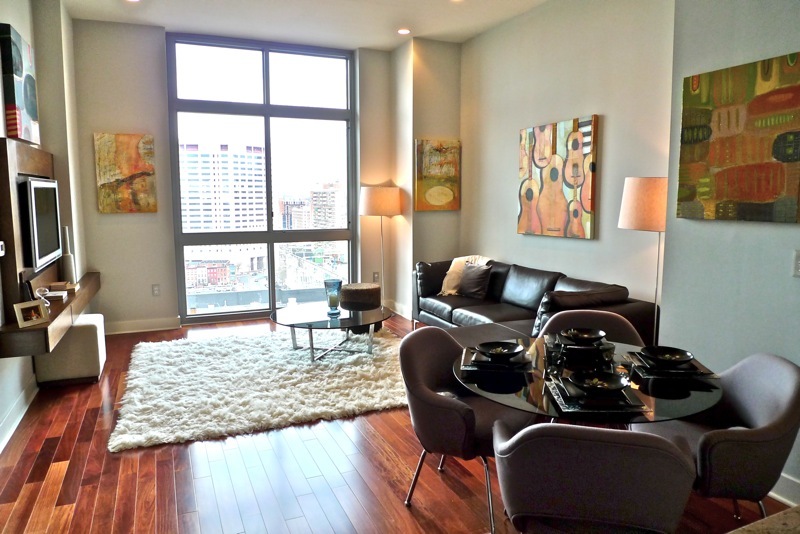 Right in the heart of Exchange Place/Paulus Hook it is a commuter’s dream with Ex. Place Path and Lightrail just minutes away and the Ferry almost at your doorstep! Elegant brick town-home with private garage. 9 Foot ceilings on all levels add to the open airy feeling. Tons of natural light with its southern exposure. Open modern kitchen with SS appliances, sleek white raised panel cabinets and granite countertops. Oak Harwood floors on all levels and 3.5 marble baths. Plenty of custom closets and built-ins throughout. A private tranquil rear patio / garden looking out over the lush landscaped grounds. Oversized porcelain tiled one car garage with built-in shelving and room in the drive to accommodate an additional car. Conveniently located within walking distance of NYC transportation via Lincoln tunnel; bus, Ferry and Lighting Rail to bordering Gold Coast towns. Plenty of local shopping, Trader Joe’s, West Elm and Whole Foods or cool off in the summer at the new outdoor community pool on the Weehawken Waterfront. Indulge in True Resort Style Living on the Gold Coast of New Jersey at 9 On The Hudson”. Brand new, gorgeous and thoughtfully designed K.Hovnanian residences located in West New York, NJ. Building features residences with breathtaking views of Manhattan skyline as well as spacious open floor plans with carefully selected and quality crafted details, inviting comfort and exuding modern elegance. Home features include floor-to-ceiling over-sized windows, beautiful white oak flooring throughout, Gourmet kitchen with custom Pedini cabinetry, Aspen Quartz counter tops, Bosch appliances and Thermadore built-in refrigerator, bathrooms with Carrera marble floors and walls, quartz vanity counter tops and Moen rain shower heads. Exceptional resort style amenities include 24/7 concierge, stunning infinity pool, state-of-fitness center, golf simulator and a sprawling roof top lounge. 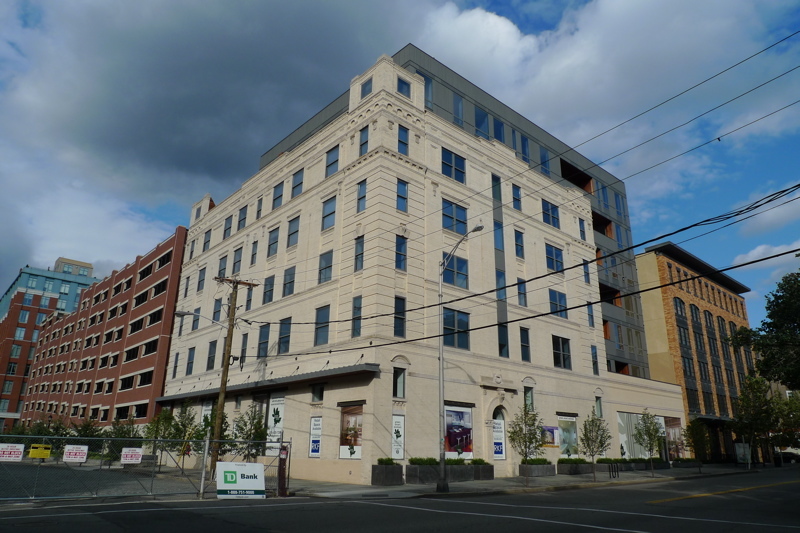 20 year tax abatement program on this new construction makes it a winner! Spectacular east-facing two bedroom and two bath corner home with 2 garage parking spots, offering breathtaking panoramic New York City and Hudson River Views. This top floor home is bathed in sunshine and offers 1200 square feet of living space, 12’ living room ceilings and oversized Pella windows to take in the incredible view. The living area is spacious and wide-open to the chef’s kitchen which has been superbly designed with quartz countertops, double depth under mounted sinks, white cabinets and stainless steel appliances. This home comes equipped with seven inch hardwood plank floors throughout, in unit washer and dryer, central air and heat. The stunning master bath is surrounded by imported tile, marble, quartz and a frameless glass shower enclosure. This elevator building offers a stylish lobby, beautifully landscaped backyard and patio perfect for barbecuing and entertaining. Conveniently located to New York City and metro area transportation with a bus stop in front of the building. Close to shops, dining, parks and minutes from Trader Joes in uptown Hoboken. Welcome home to this stunning and rare gem. This South East facing three bedroom/2 bath + loft penthouse is located on the banks of the Hudson River where you will enjoy unobstructed views of the New York City skyline from every room! This magnificent unit features hardwood floors, high ceilings and a spectacular kitchen with top of the line appliances & granite countertops. The low maintenance fee includes two indoor parking spaces and an array of the finest amenities such as concierge, fitness center, conference/community room and an outdoor pool. 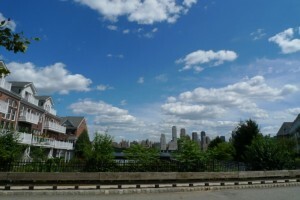 This tasteful townhouse located in highly sought after Jacobs & Bulls Ferry has unobstructed NYC views from every room! This impressive two story home features an open floor plan, gleaming hardwood floors through out and a private patio off the dining room for outdoor grilling on warm summer nights. Master bedroom suite includes a private terrace as well as a spacious bathroom with double sinks, shower and soaking tub. Additional upgrades include custom shelving in every closet as well as Pella custom between-the-glass blinds! End-unit and larger yard than all the rest! Community has 2 pools/Jacuzzi, security and shuttle to waterway ferry and light rail. Luxury 3BR/3.5Bth New Construction 3,085 sq. ft. town homes available NOW in fabulous location on quiet, dead-end block 2 blocks from Clarendon School & NYC bus! Take advantage of NO monthly maintenance fees & the most affordable taxes in Hudson County. Each town home has 3 floors of living w/ H/W floors throughout gorgeous open floor plan highlighted by a kitchen w/ long center Quartz island and deck off formal dining room. Venture upstairs to your Master Suite w/ Master Bath w/ huge deck off Master Bedroom w/ NYC views. W/D, C/A. Ground floor offers extended living with full bathroom and sliders to large, private yard. 1 car attached garage w/ 2 car wide driveway. The Glass House features an exclusive selection of one, two, and three bedroom residences with a range of lifestyle options from waterfront townhouses to luxury condominiums, all with spectacular views of Manhattan. The residences include large oversized Marvin windows, spacious large balconies, 9 1/2 ft. ceilings, gourmet kitchens including Subzero, Wolf,Bosch, and Miele stainless steel appliances, spa­-like bathrooms, Smart Home features, Caesar stone countertops, and premium Kohler fixtures. Amenities include a Manhattan­ facing outdoor heated swimming pool, expansive deck with cabana areas, rooftop deck, fire pits, state-­of­-the­-art fitness center, movie theater ,reception room, children playground, screening room, Riverwalk Park featuring private pier, concierge services, private ferry shuttle & NYC Bus, nearby restaurants & supermarket. Are you ready to earn a major profit on your Hudson County property? My team and I are here to help, from navigating all of the trends to maximizing your profit. Buying and selling can be a stressful process, but we’re here to make sure it’s worry-free. 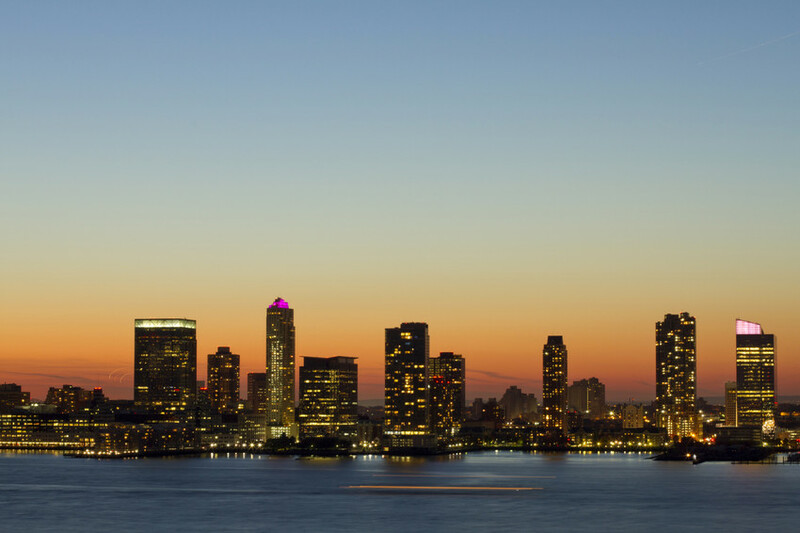 In addition to our years of local experience and expertise, we also offer a variety of specialized tools, the latest sales data for condos in Hudson County neighborhoods, and a form to request a complimentary market analysis for your home. If you need more information, don’t hesitate to call our team today. List your property with the Living on the Hudson Team, and find your real estate success today.